It was a lovely morning when the medical camp started and we never ever had expected such a huge mass coming for check ups. 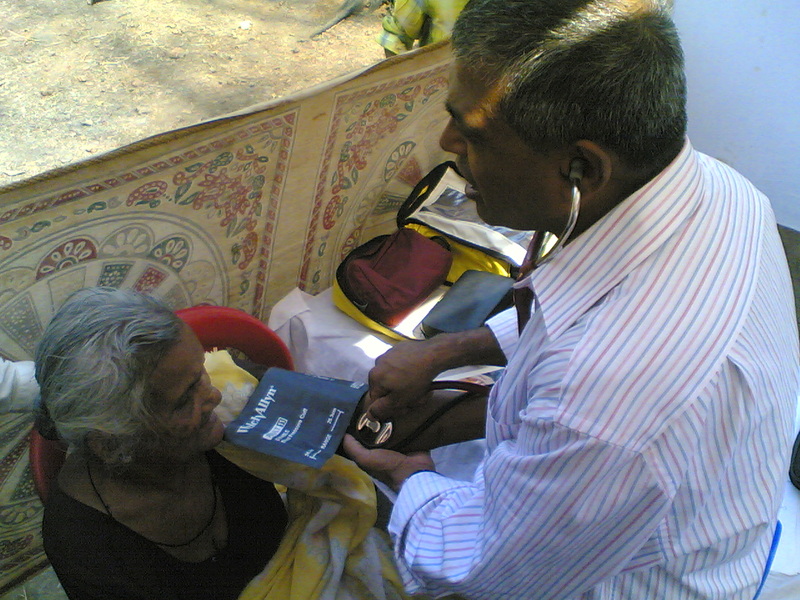 Over 100 patients were diagonised on this day, majority of which were of general checkup. 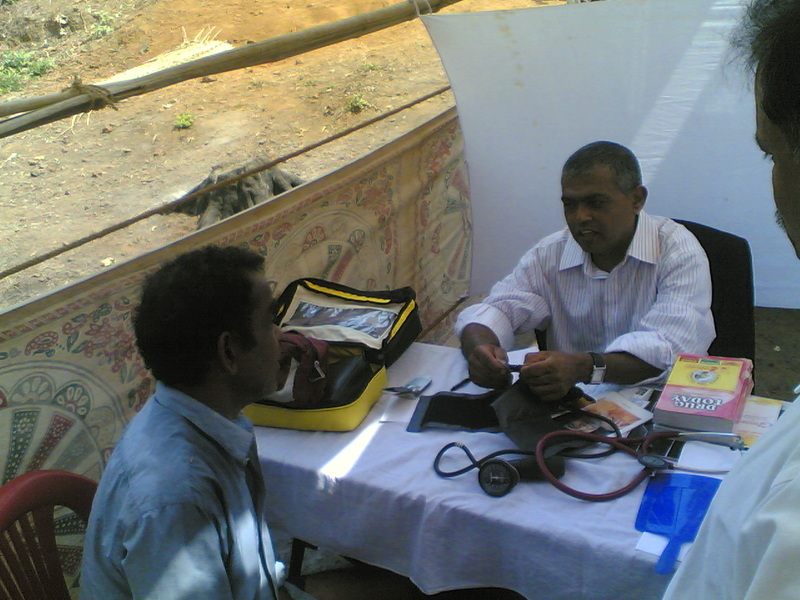 The medical camp was held at the vicinity of Shri Damodar Temple. 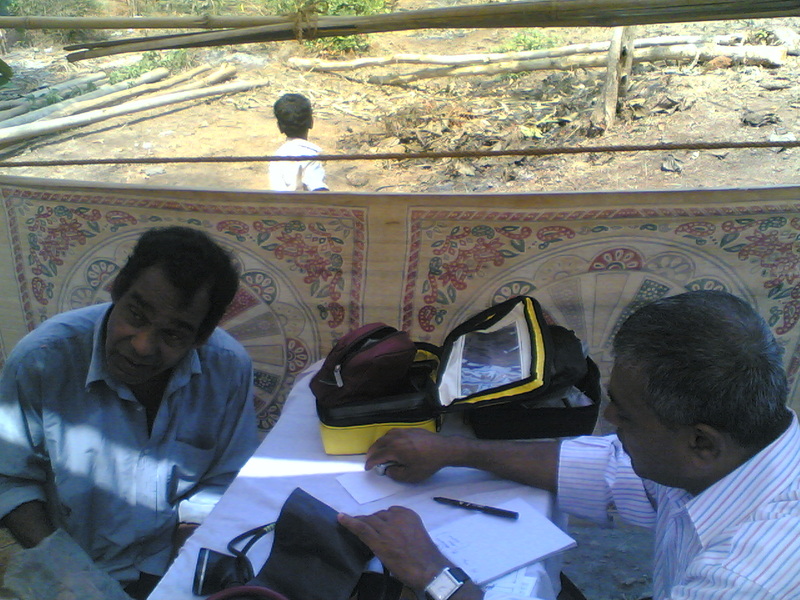 Murdi is a remote village in vasco. 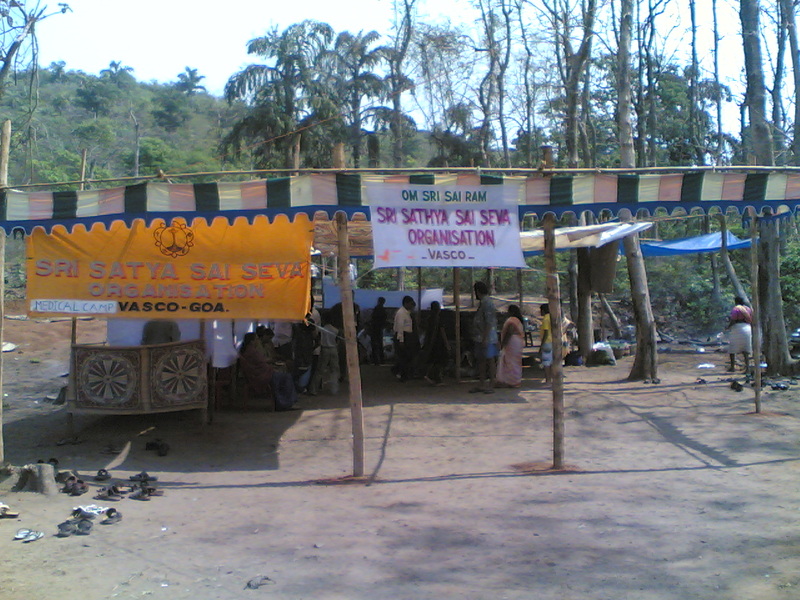 Also in the morning the Sai Youths took a procession around the villages with the ‘Maha Sai Jyoti’. 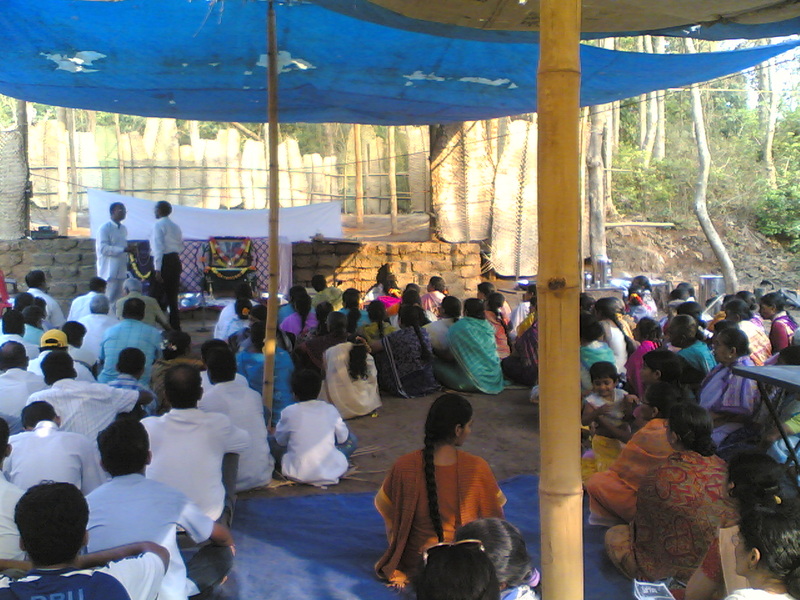 Later, after the tasty lunch (prasadam- we would call it)the All Goa District President called for a meeting of all the local sai samitis and discussed the plans for the coming year. In this planning construction of ‘Sai Center’ (We will make a update of it shortly) and emphasis on VIP (village integrated program) was given higher priority. Seva at March and Merging of Ratnagiri and sindudurg with goa was also discussed. 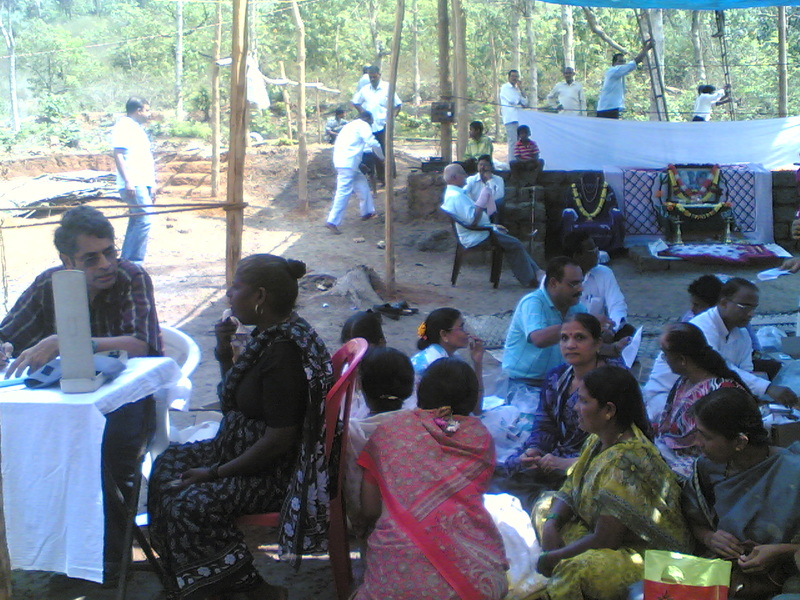 Soon after the meeting ended all joined in the camp to sing some bhajans. 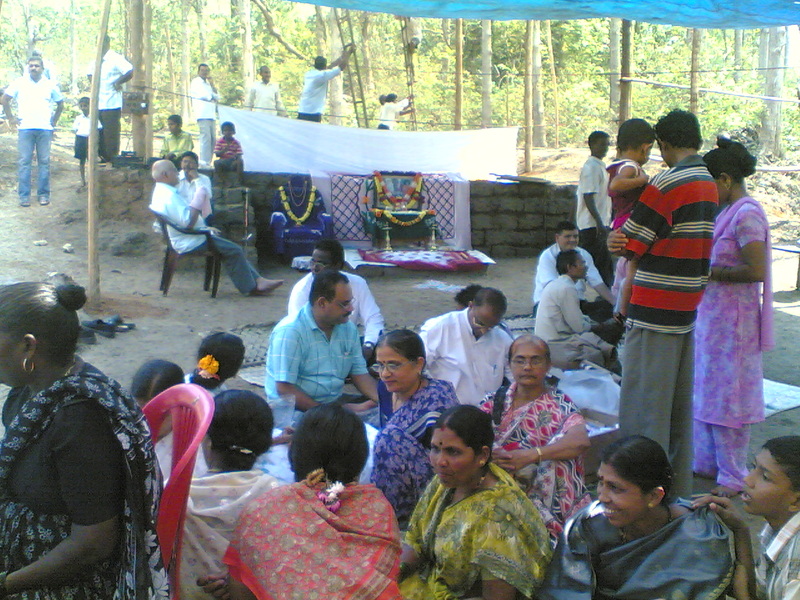 Soon Aati followed and all dispersed with prasadam. 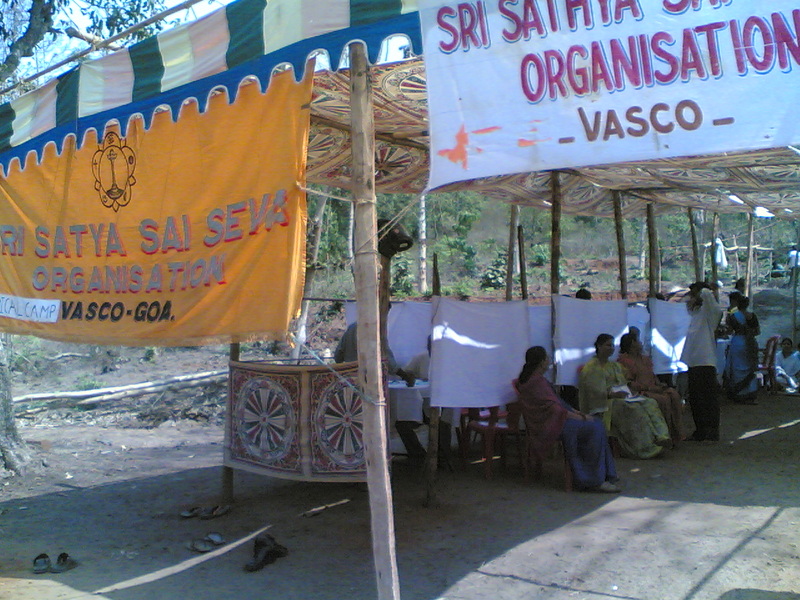 Goa samiti is really doing a dedicated seva.